Amanda Day holds a master’s degree in medical science–physician assistant from Nova Southeastern University, and a bachelor’s degree in cell and molecular biology from Troy University. She is a member of the American Academy of Physician Assistants and the Florida Academy of Physician Assistants. 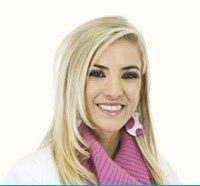 As a Wiregrass area native, Amanda joined Dermatology Specialists of Alabama with a passion for serving patients right here at home. Copyright 2019 Southeastern Dermatology Group, P.A. All Rights Reserved.